Our summer getaway special is for you if you book two consecutive nights, Sunday through Thursday, anytime from now to August 10th (time is running low!). You’ll get 10 percent off your room rate when you do! Make sure to call us and mention the summer getaway special, or book here on our site and choose the summer getaway special! Don’t miss out on this awesome deal that is ending soon! 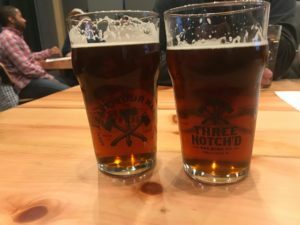 Paddles to Pints– 8th and 15th– Random Row Brewing Company. 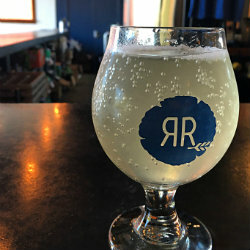 You’ll enjoy a short kayak paddle on the Rivanna River and enjoy a delicious pint of craft beer afterwards at Random Row Brewing Company. You’ll start your trip at Random Row and end it there, too. They’ll have food trucks available if you work up an appetite from your paddle. Since this is happening each Wednesday this month, you’ve got a few opportunities to make it to the event! You must register in advance! Tasting Summer Fruits of Orchard and Garden– August 11th. 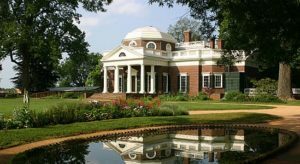 Head to Thomas Jefferson’s Monticello while Garden Staff take you through the fruits of the summer including early apples, peaches, figs, grapes, nectarines, apple cider, blackberries, pears, and more. You’ll learn about the history of the fruit and it’s growth in Virginia as you taste! David Cross “Oh Come On” Tour at The Paramount Theater– August 3rd. David Cross of Arrested Development, and voted Comedy Central’s top 100 stand up comedians of all time, will be at The Paramount this August in C’Ville. If you love comedy, this show is sure to make you laugh. 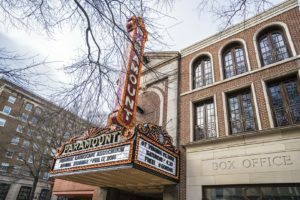 Plus, enjoy a night at the historic Paramount Theater on the Downtown Mall. Final Duel Chef Showdown– August 13th– This battle takes two local, renowned chefs, and puts them against each other for a duel. Each chef prepares four courses, and you get to enjoy all eight courses and vote on who wins! This one is between Melissa Close-Hart of Junction and Curtis Schaver of Hamilton’s at 1st and Main, two spots we suggest trying out in the downtown and Belmont areas. We think this event sounds like a lot of fun! Tickets available here. Virginia Craft Brewers Festival– August 18. Presented by Three Notch’d Brewery at IX Park in downtown C’Ville, this event is one not to be missed by Craft Beer lovers. There will be 100+ Virginia breweries serving 250+ Virginia made beers! There will also be live music and food trucks. Check out the different ticket options, including general admission and VIP tickets. We think all of these events look great- if only we had the time to attend them all! Which one looks most fun to you? We hope you visit and stay with us this month! 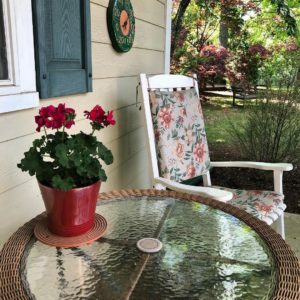 This entry was posted in Charlottesville, Charlottesville VA, Summer, Things to Do and tagged charlottevilleva, summer by Foxfield Inn. Bookmark the permalink.